In sudden move, PM cancels trip next week. No reason given, but possibly tied to Hamas-PA reconciliation negotiations. Prime Minister Netanyahu announced Thursday that he had decided to cancel a trip to Colombia, which was due to take place next week. 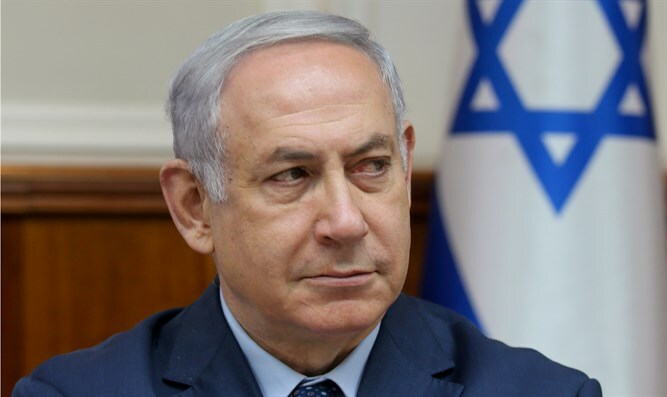 The Prime Minister's Office said, "Due to the situation in the south, Prime Minister Netanyahu decided to stay in Israel next week and therefore canceled his trip to Colombia." The statement did not give the specific background to the decision, but there may be a connection between it and the ongoing negotiations for reconciliation between Hamas and the Palestinian Authority under Egyptian auspices. As part of the negotiations, a Hamas delegation is expected to arrive in the Gaza Strip, where the organization's deputy leader, Saleh Al-Arouri, may also participate.